What is the usual power supply lifespan? What dictates power supply life? These are the two questions from different types of people. The former is a question from a consumer while the latter is a question from a technical guy. These two questions will be addressed by this article so keep on reading below. Usual power supply lifespan is shorter than other small signal electronic circuits due to the heat generated by power devices. The heat accelerates the aging of the components within the power supply. Thus in power supply industry air cooling is very important. There are some designs that use natural cooling or the so called convection cooling (without fan) but with limited power. In convection cooling, there is no air generating mechanism such as fan. It only relies on the heat sink and the capability of the devices to handle heat. Convection is more challenging than forced air design. Power supply life is dictated by few components within the power supply itself. These components are fan, electrolytic capacitors and optocouplers. Semiconductors such as diodes, mosfets, bjts and others have longer life once it is operated at a maximum stress of 80%. In fact there is no life time specified in the datasheets of these devices. Power supply vendors usually design their product to last a minimum of five years. Why 5 years? It is because 5 years is the maximum warranty period a power supply manufacturer can give. What happen after 5 years? Will the power supply get damage right away? The answer is no. It is still depends on the component’s life that will be discussed below. It will depend also on the load of the power supply. After 5 years the efficiency of the power supply will surely degrade. If you operate the power supply at near or at full load, the heat generated will be higher than the years before. To know on what particular load the power supply has maximum efficiency, read this. Efficiency is an important factor for having extended power supply lifespan. The more efficient the power supply will be, the lower the internal power dissipation and the heat generated is minimized. Heat is the number one factor for power supply to damage. It turns out that buying a high efficiency power supply is a good preparation to extend the life of a power supply. High efficiency power supply is attainable with SMPS technology but not with linear power supply type. These two power supplies differ a lot. Read this for the comparison of the two. Another benefit of a high efficiency power supply is the monthly bill savings. To know how much the expected savings, click here. A 5 year power supply lifespan is based on the worst contributing factors that will be discussed below. You have to bear in mind always that this specification is evaluated under 25-30’C room temperature. A five year life may become a one year life if the room temperature is higher than 25-30’C. So it is obvious that one way to prolong the life of a power supply is by providing an air relief. For your desk tops for example, you can install an adequate fan inside the computer case. Electronic product life is associated to reliability. In vendors point of view both life and reliability are measured at a nominal operating temperature (room temperature) of 25-30’C with 100% load. This temperature range is the normal temperature when you stay inside a room without an air cooling system. The actual ambient temperature of each device is maybe higher than this temperature range because power components radiate heat. The actual ambient temperature is the temperature reading taken by a thermocouple installed at very near the component but not touching it. For a power supply with a forced air cooling system the room temperature and the actual ambient temperature are the same or has only a very small delta because the cooling system is wiping the radiated heat out. However for a convection power supply, there is no air relief to push away the radiated heat from power devices. This results to a higher difference between the room temperature and the actual ambient temperature and this is the challenge for power supply vendors to deal with. Fan is an electromechanical device. In power supply this is the commonly used cooling device. Once the power supply is running (on state) the fan is also running. So if you are running the power supply 24/7, the fan is also running 24/7. (Some power supply designs turn off the fan at light load to no load to save energy consumption.) The life of a fan is not forever. 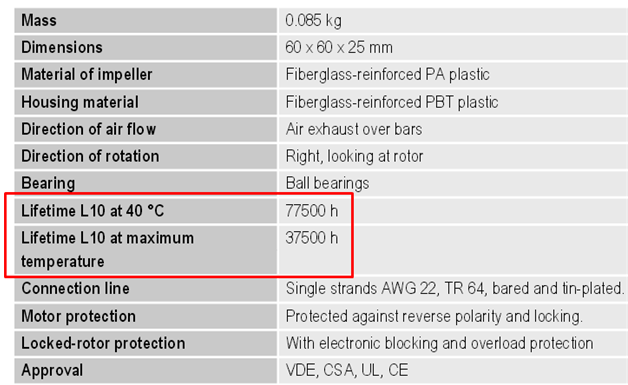 For example in Figure 2, a particular fan has a lifespan of 77,500 hours when operating continuously at 40’C. 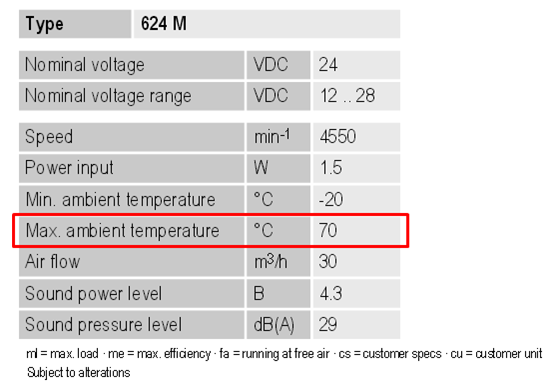 Its lifespan will decrease when continuously operating at the maximum ambient temperature of 70’C as described in Figure 1. The added ambient temperature is a very big factor to the life of the fan and so the power supply. Another power supply life dictating factor is electrolytic capacitor. The life of electrolytic capacitors is dependent with the ambient temperature and the ripple current. 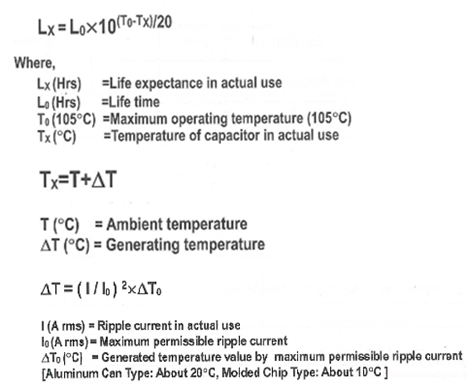 For small capacitors such as ceramic the ripple current contribution is negligible. For ecaps (short for electrolytic capacitors) however the ripple current generate heat and add up to the operating ambient temperature. Figure 3 is an equation to determine the life of a polymer electrolytic capacitor. You can notice from above computation how the increase in ambient temperature decreased dramatically the life expectancy of an electrolytic capacitor. When capacitors fail, the power supply will fail as well. So it is a wise move to maintain the temperature of the power supply low. The third limiting factor for power supply life is optocoupler. Optocoupler has light generating element which degrade with time. In optocoupler circuit design, the important parameter is CTR; short for current transfer ratio. CTR is affected by several factors including time. It is decaying with respect to time as shown below. To know more about the factors affecting CTR, read this. Based from above figure the operating time which the device still maintain 100% CTR is around 40,000 hours which is around 4.63 years. (Although in the actual design the design engineer will include an adequate margin such that the operation is still okay even at below 100% CTR.) 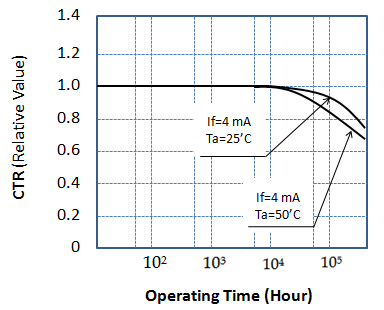 Figure 4 graph will vary from device to device and it is specified in the datasheet. if Tx is equal to 105 celcius , bulb cease…. means Lx = 0!! can u show me, that this equation satisfies this? ?